The winners of Shooter’s 2017 Short Story Competition have been announced, with Emma Parfitt scooping the top prize for her supernatural parable about London’s brutal housing market, “Baby’s Day Out”, and Jim Brannin as runner-up for his poignant tale of ageing, “The White Cat”. Parfitt, an English teacher in Kent by day, has previously written several Young Adult e-books, but in recent years has turned to writing fiction for older readers. Her winning story was the fruit of a creative writing course at the Faber Academy in London. “Baby’s Day Out” is a rare hybrid of literary horror, as well as the first ghost story Shooter has published (it will appear in Shooter’s print magazine, the upcoming “Bad Girls” issue, as well as online). Competition readers and Shooter’s editor, Melanie White, enjoyed the way it worked as social commentary as well as an effectively spooky – and unexpected – ghost story. They also lauded the elegant, polished quality of the writing. “Winning something like Shooter’s competition is so encouraging,” Parfitt said. “It has definitely spurred me on to keep at it and persevere with longer-form work, which can feel much more daunting.” She is currently working on a novel, also in the genre of literary horror, set in London’s financial world. Jim Brannin’s second-place story, “The White Cat”, focused closely on dilemmas of ageing, with a protagonist who engaged and moved the readers. Brannin, who splits his time between Barcelona and London, has co-authored seven books of non-fiction and published several short stories in literary journals. Both “Baby’s Day Out” and “The White Cat” can be read on Shooter’s website. The winning story will also appear in Shooter’s summer issue, out soon. For subscriptions or to order a copy of the print edition in advance, please visit the Subscriptions page. 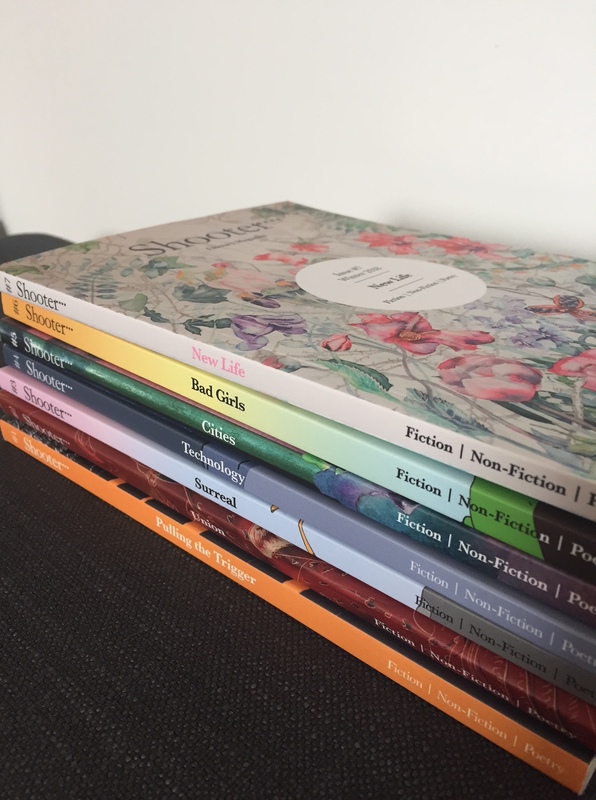 Shooter’s annual Short Story Competition will reopen for entries early next year, while the magazine’s Poetry Competition will open later this summer. Details on how to enter will be posted on the website. ‘Til then, enjoy all winning stories and poems on the Competition Winners page!